The island has been battered by strong winds and raging seas for the last couple of days but thankfully we seem to have avoided the snow! I had some time today so went out "storm chasing", something I love doing despite the cold. The light wasn't brilliant but it was just incredible to see the power of the sea in all its glory. It was absolutely freezing and I started off at the Lifeboat Station in Ramsey as the slipway gave unobstructive views of the waves crashing. It was so cold even the lovely RNLI man offered me a hot drink, and his little dog thought I was mad as he didn't even want to be outside. The roads were understandably closed as the sea was jumping the sea wall with ease so it was a bit of a faff moving from A to B, but after high tide I drove to Laxey to meet a friend. 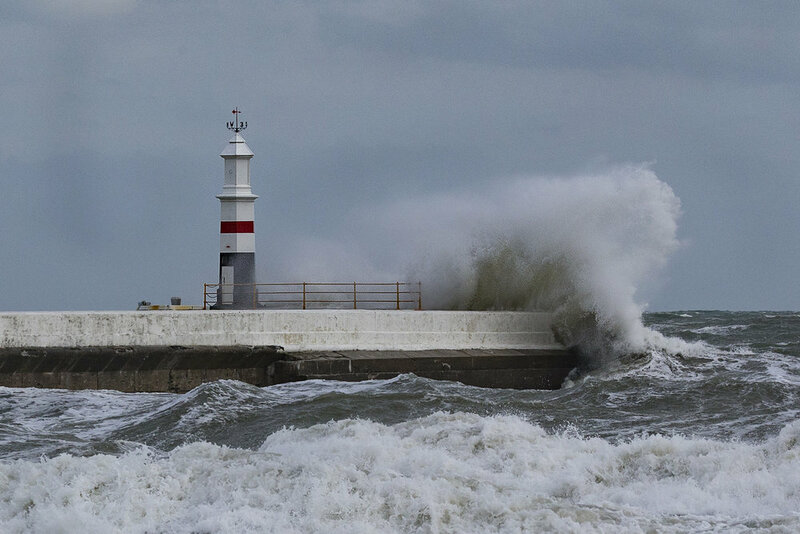 Even an hour after the high tide the waves were crashing over the lighthouse and I think I probably should have gone to Laxey in the first place. I hope you enjoy looking at the images of the storm. Please like my page to be the first to see my work as it is published. My new toy and our gorgeous dogs! !